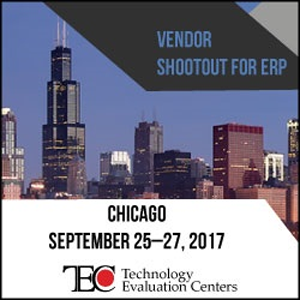 The top ERP comparison event for manufacturers and distributors: September 25-27 in Chicago. MONTREAL, QC, August 09, 2017 /24-7PressRelease/ — The Vendor Shootout(TM) for ERP is a rare opportunity. Exclusively focused on the evaluation and comparison of enterprise resource planning (ERP) software, this event has been dedicated to helping businesses evaluate, compare, and select ERP solutions since 2006. Held September 25-27 in Chicago, Illinois, this edition of the Vendor Shootout will focus on comparing top manufacturing and distribution solutions. Technology Evaluation Centers (TEC) is once again proud to act as moderator of this event, which is geared to manufacturing and distribution-related organizations that are currently budgeting for an upgrade or replacement of their current enterprise software solutions. 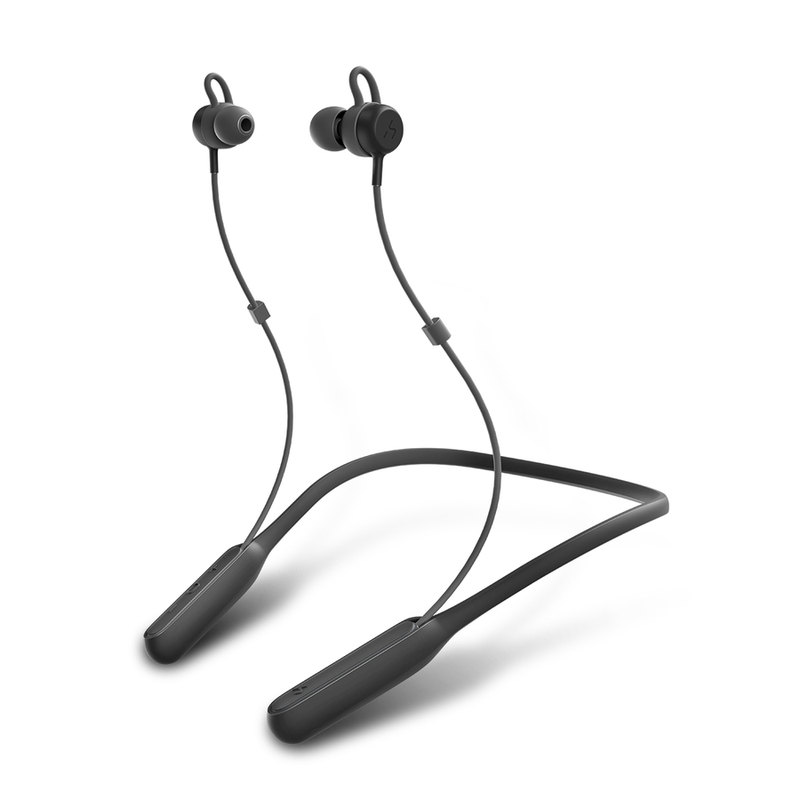 TEC will also deliver valuable selection advice during the event. TEC specializes in impartial and quantifiable software selection. 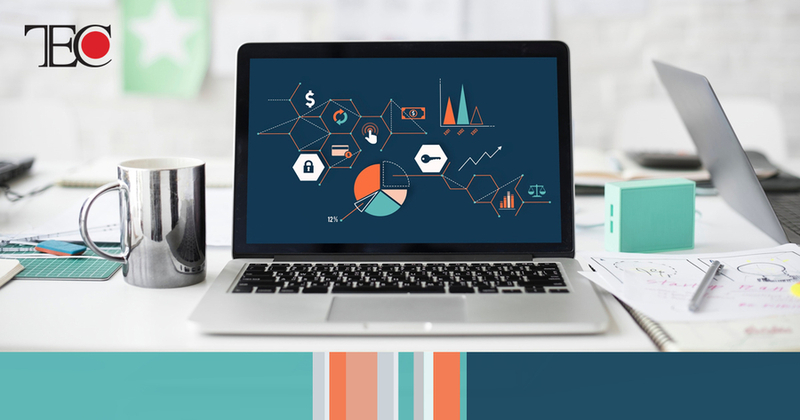 As a leader in impartial software and advisory services, TEC offers a proven enterprise software selection methodology and state-of-the-art web-based decision support technology designed specifically for software selection. With TEC’s expert guidance, selection teams can equip themselves with the knowledge essential to manage their own selection project, or receive complete hands-on support to lead them through vital project milestones. 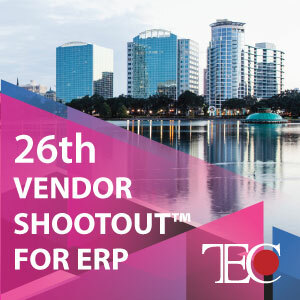 The Vendor Shootout(TM) for ERP offers a comprehensive, content-rich agenda that includes scripted demonstrations of ERP software products from top vendors as well as general session presentations that will provide essential insights to the enterprise software selection process. It also gives attendees the chance to network with like-minded businesses working through many of the same challenges. If you are currently involved in a software selection project or are embarking on one soon, this is an opportunity you won’t want to miss. Learning more about the event or signing up to attend it is easy. Visit www.erpshootout.com. Created in 2007 by Brij Image and Information, the Vendor Shootout(TM) for ERP has helped to simplify software selection for hundreds of companies throughout the US and abroad. Brij’s goal was to create an event where manufacturing and distribution organizations could come and witness multiple ERP packages in action, without sales pressure. This unique event has grown into an international brand that continues to change the way manufacturing and distribution organizations approach their software selection projects.